In the last year and a half. We have explored how Indigenous women interested in Entrepreneurship could be better supported in launching and growing their business. We’ve used mechanism such as a Concept Testing, One-On-One Consultations, Survey, Scanning of Reports, to explore the related issues. Over time the research was brought down to one overarching question: “What if … a collaborative Indigenous Entrepreneurial Ecosystem was created to develop, build capacity and provide better support to aspiring Indigenous women Entrepreneurs?” using Foresight methods with the help of two panels of Indigenous women entrepreneurs from across Canada. The benefits of having more Indigenous women-led-businesses are substantial for their own wellbeing, for their families, their communities and for Canada’s growth. Yet, there are so many hurdles they must overcome, gender and Indigenous women issues, including biases, racism, poverty and lack of support. Plus many require practical knowledge, ongoing support and funding to launch and grow their businesses. 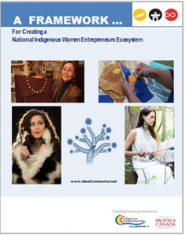 As one means to help overcome these hurdles, the Idea Connector Network (Proteus Canada Institute – a not for profit Indigenous Corporation) will launch a unique initiative, the creation of a National Indigenous Women Entrepreneurs Ecosystem. We are targeting October 2018 for the launch of two simultaneous pilot projects, in the cities of Edmonton and Sudbury. What they had to say? 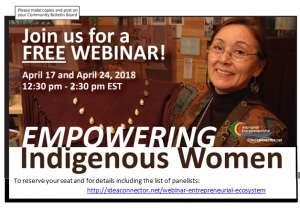 Facilitating sustained collaboration between Indigenous Women Entrepreneurs and non-Indigenous groups and individuals active in the entrepreneurship/business space (corporations, economic development groups, business associations, women’s group, government agencies and financial institutions). Improving access to finance for Indigenous women entrepreneurs. The plan calls for the creation of “Hubs” in selected municipalities or rural areas. 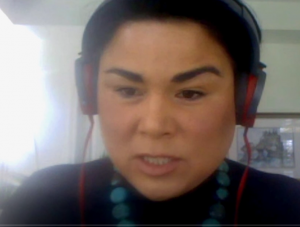 These “Hubs” are to be linked online forming a National Indigenous Women Entrepreneurs Ecosystem. We define a “Hub” as the gathering (in a specific community or region) of entrepreneurs, funders, corporations, government agencies, advisors and supporters interested in supporting Indigenous women seeking to launch their business and to engage in commerce. Foundational to these Hubs are Indigenous cultures and traditions. Indigenous women interested in launching their small business will be provided a 5-month holistic program. The program will require 10 to 12 hours per week on average. It will integrate workshops, self-directed e-learning, e-simulations, group projects, networking, active coaching and mentorship. Collaborative learning is the cornerstone of this program and participants will accelerate their own learning by being part of a support circle of 15-women per learning group. Ongoing purposeful mentorship will be provided for a total of 12 months.